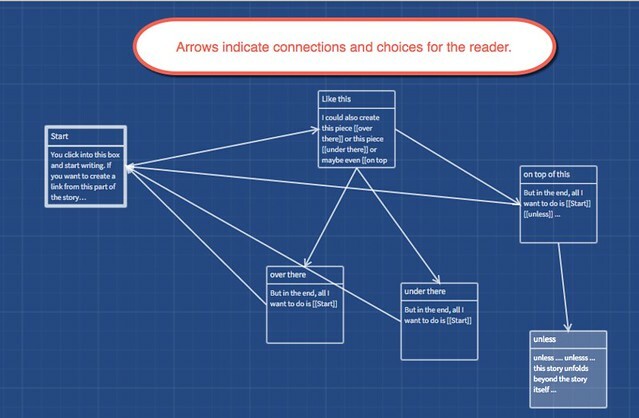 I’ve been writing about my Interactive Fiction project with my sixth graders these past few days (and I will try to share a few projects tomorrow) as we use Google Slides, but I also wanted to share out a quick tutorial on using the online version of Twine for making Interactive Stories. This is all part of Digital Writing Month, too. 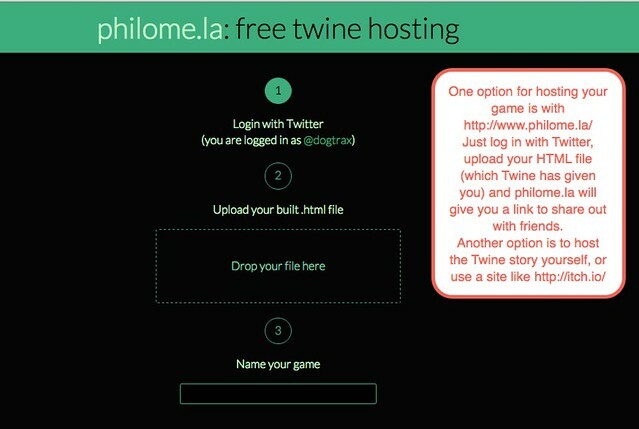 Twine is a freeware program but there is now a beta version that works right in your browser. 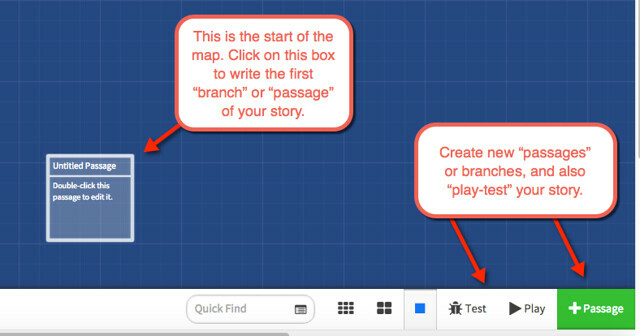 It allows you to create “choices” and branches, and it is quite interesting to use. 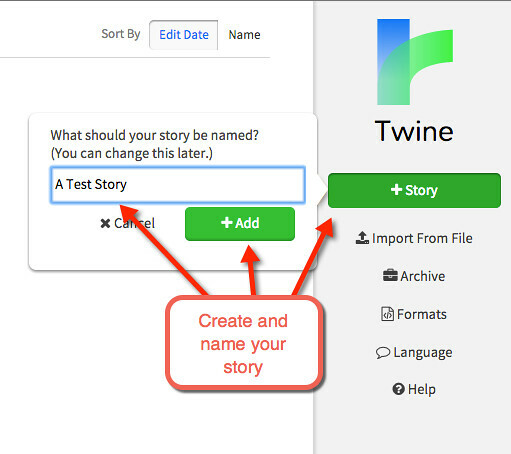 The main downside of this kind of story creation is the hosting of the final file, as Twine itself is not a story hosting service. 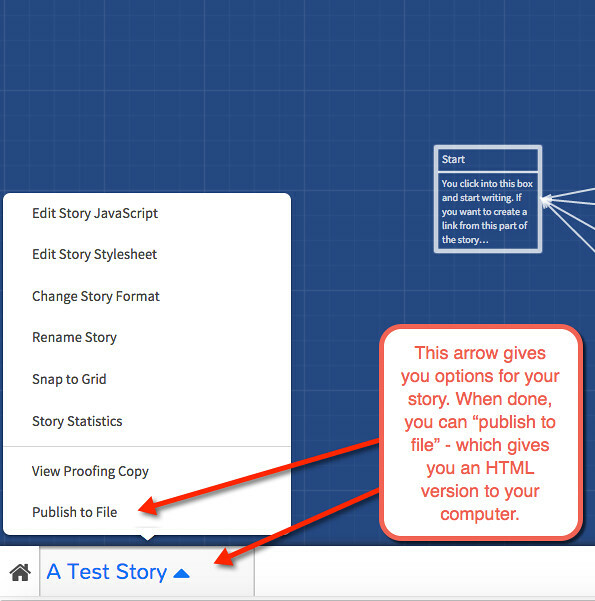 Also, know that this web-based version of Twine is still in development. 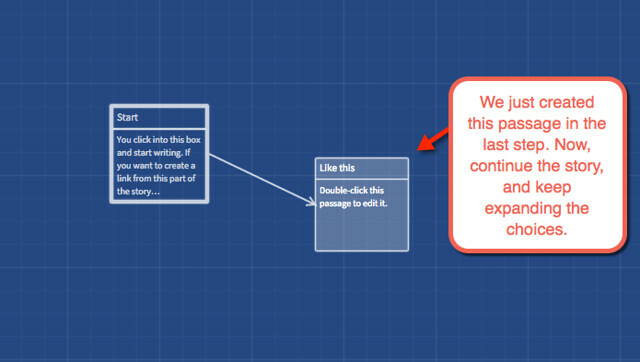 This part of my transmedia story from last week is an example of what Twine looks like. This piece by my friend, Anna, is what the older version of Twine looks like. 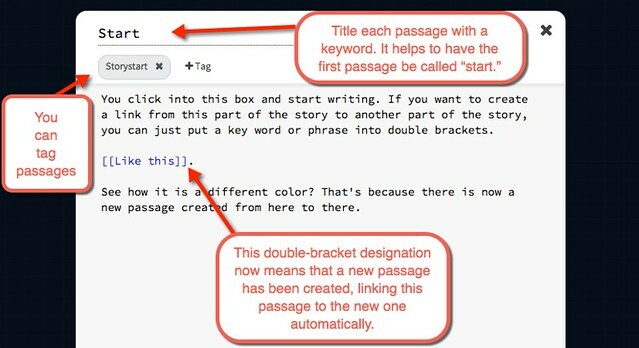 This entry was posted in Digiwrimo, Interactive Fiction. Bookmark the permalink.